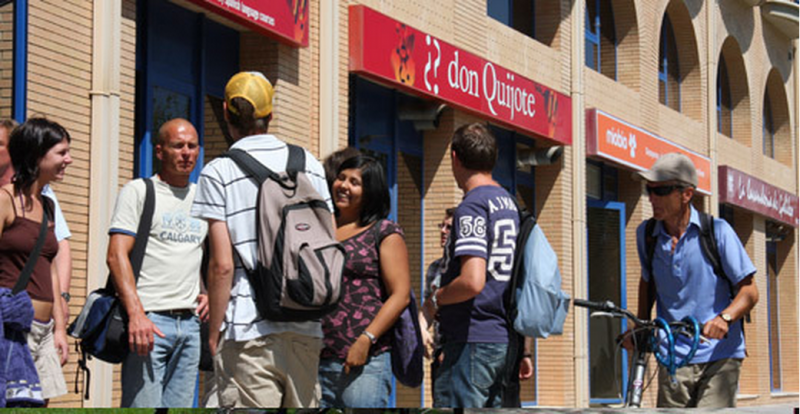 Our Spanish school in Valencia offers you a modern building in the heart of the city's university district, freshly renovated with equal focus on technology, comfort and quality, equally convenient to both the city's cosmopolitan center and its sun-drenched Mediterranean beaches. 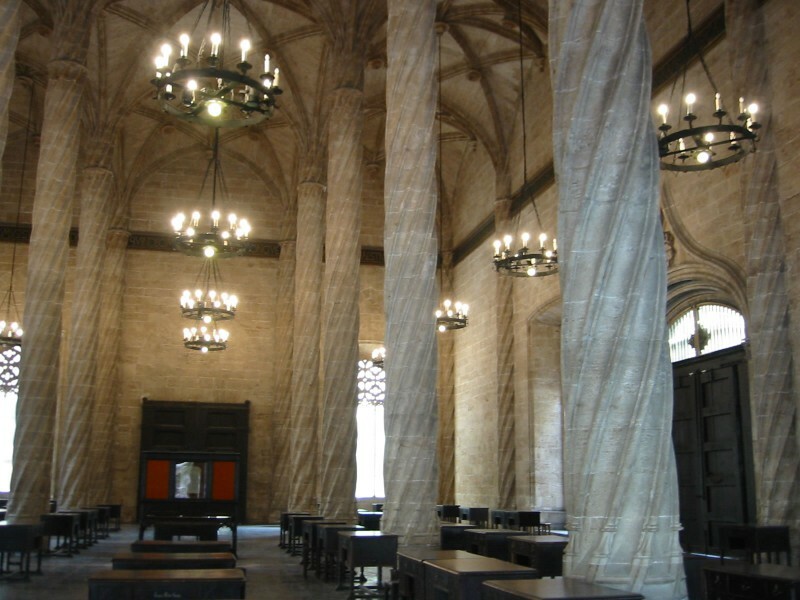 This is the ideal place to learn Spanish in Valencia. 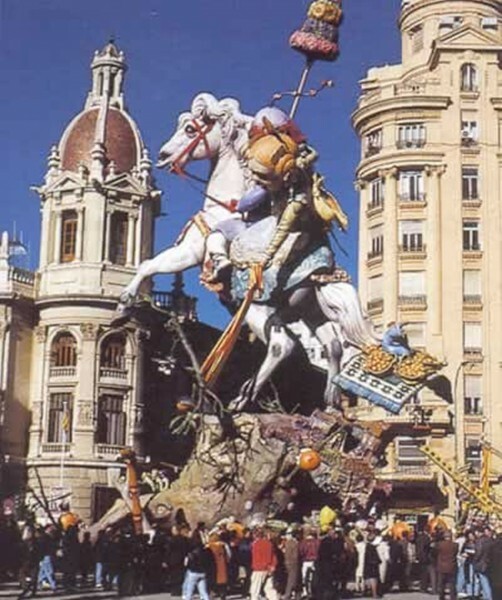 don Quijote Spanish school in Valencia is the ideal base from which to explore the city, with a street car / trolley stop just across from the premises, along with a stop for several central bus lines. From the green oasis of the university district, you can comfortably travel to the Plaza Mayor in 15 minutes and the beach in just 5. The school boasts 9 spacious classrooms. 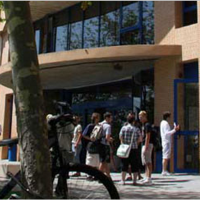 The academic zone surrounds a central common area of 100 square meters, equipped with a coffee machine, snack vending machines, computers and comfortable furniture for relaxing between classes. 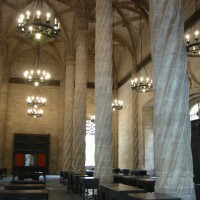 The facilities include the most modern technology, presented in a cheerful and contemporary atmosphere. 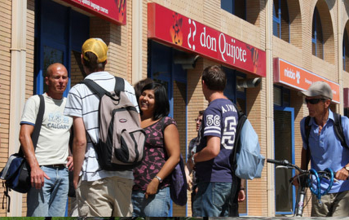 Groups are divided according to language level and students will receive 4 hours of intense Spanish tuition a day + 5 complimentary cultural classes a week. Our small class sizes of on average 4 students (maximum 8) guarantees the utmost flexibility and personal attention from our fully qualified teachers. Classes combine both grammar and conversation - covering reading, writing, speaking and listening to ensure a through consolidation of the Spanish language. The Super Intensive is an expand on the general course that provides 5 hours of cultural and conversation classes on top of the intensive 30 hours of Spanish language lessons a week. The cultural classes cover topics as varied as History, Art, Civilization, Literature and Cinema, allowing students to gain a true understanding of the language within its relevant contexts. Students learn rapidly through this total immersion program, making it one of our most popular courses. Living with a host family has two major benefits. 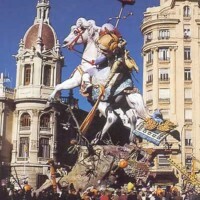 First, it's the best way to get to know Spanish culture and see what daily life is like for a native Spaniard. Secondly, our host families will speak to you in Spanish 100% of the time, helping you practice the skills you're working on in Spanish classes in an authentic context. If you have any allergies, special dietary requirements, dislike of particular pets or any other special requests, just let us know in advance. - Eine Stornogebühr von € 500 gilt, wenn ein Kurs abgesagt ist weniger als 1 Woche/s vor dem Eingangsdatum Kurs.